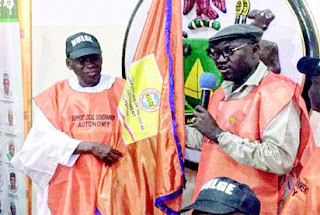 The Nigeria Union of Local Government Employees, NULGE, has lauded Benue and Cross Rivers States Houses of Assembly for approving local government autonomy. Rising from a meeting in Akure, Ondo State capital, the South West Block of the union said the two states had showed understanding and commitment to the development of the grassroots as envisioned in the existence of local governments. It’s National Vice President, South West, Oludare Famofo, praised the Speakers of the states and urged other states to follow suit. Famofo said, at the meeting, the issue of local government autonomy was extensively deliberated upon. According to him, the meeting resolved that “granting local government autonomy at this time would go a long way in not only restoring but also improving the socio-economic development of the nation”. Famofo added that it would equally ensure national, political and educational stability. The Vice President charged state lawmakers nationwide to hold public hearings on the on-going constitution amendment to allow stakeholders express support for local government autonomy as approved by the National Assembly in July last year. The union called on President Muhammadu Buhari and state governors to ensure the approval of local government autonomy by the 36 state Houses of Assembly to tackle insecurity at the grassroots. Ondo State President of NULGE, Comrade Bunmi Eniayewu, said granting autonomy to local governments remained the fastest way to guarantee rapid growth at the grassroots.